How close did British Columbia come to US annexation? Closer than you think. Venezuelan President Nicolas Maduro recently accused the United States of plotting a coup against him. Regardless of how accurate or justified that may be, this has led some pundits to openly wonder whether the Monroe Doctrine is about to be dusted off. Latin American countries were not the only ones potentially affected by the United States’ Imperial gaze. In fact, during the mid-19th century, both British Columbia and Nicaragua became preoccupied with the threat of potential annexation as encouraged by two American agitators with a shared history of urging United States expansion. Those two agitators had another, very different, shared history – for a time, they were co-editors of the San Francisco Herald newspaper. They were John Nugent, and General William Walker, the notorious filibusterer who led militias in the takeover of Nicaragua. 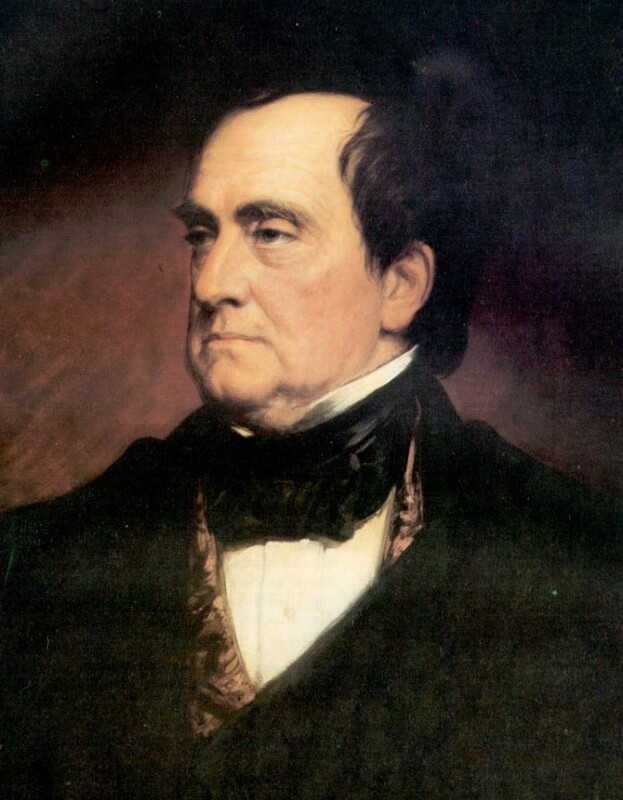 During the 1858 Gold Rush, President James Buchanan appointed Nugent as Special U.S. Agent to the Fraser River to assert and protect American interests. Nugent’s appointment was feared by many as indicative of possible American intentions to annex British Columbia; especially so, when he invoked the United States’ Nicaragua Policy with regard to “protecting” American citizens in B.C. 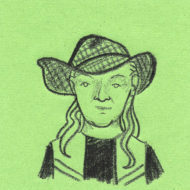 Nugent argued that Americans had been denied proper justice, and that the Hudson’s Bay Company (HBC) had been supplying their Indigenous allies with weapons to protect against the incursion of American gold seekers. The close association of the HBC with their longstanding Indigenous trade allies was always suspect in the eyes of many Americans steeped in the notions of Manifest Destiny. With the discovery of Fraser River gold, friction between British and American navy ships commenced off the coasts of Cuba, Nicaragua, Costa Rica and Panama. In the summer and fall of 1858, the British Navy had taken upon itself to haul over U.S. vessels, searching them for both slaves (having outlawed slavery) and American filibusters. American officials were incensed with what they regarded as the high-handed practices of the British government to patrol the American hemisphere to prohibit the trade in slaves. If anything, the British naval decision to conduct a right of search aboard American vessels served to fuel the filibustering mood among American communities along the Pacific Slope. An even greater provocation came later, with British plans to support the Nicaraguan and Costa Rican governments against the filibustering raids of General William Walker. Though Britain was about to relinquish its territorial claim to the Moskito Protectorate, their departure was forestalled by the discovery of gold on the Fraser River. The Central American routes gained more importance to British interests with the creation of the Crown Colony of British Columbia. 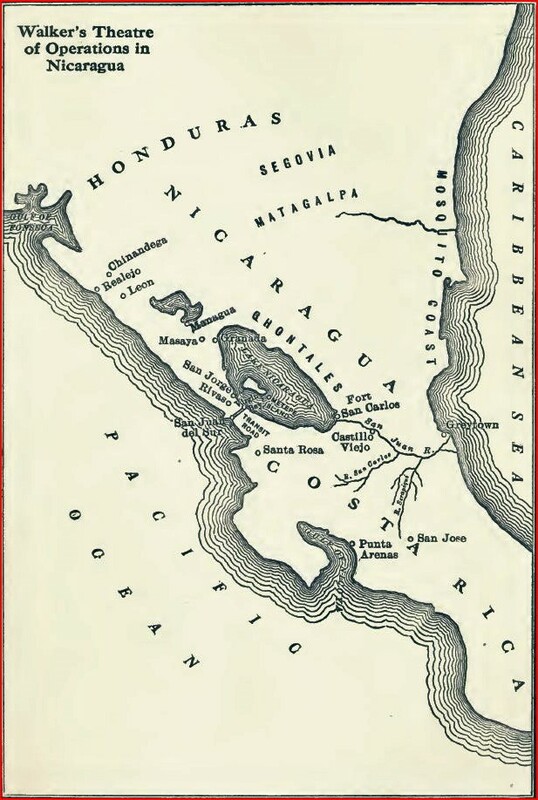 With the goldfields of the Fraser River seemingly offering untold riches beyond those of California, British interests required a strong presence in Central America. With the appointment of John Nugent, the actions of the Royal Navy off Nicaragua sent a strong message: regardless of the self-serving pretensions of the Monroe Doctrine, whether in Nicaragua or potentially in British Columbia, filibustering would be met with strong opposition. 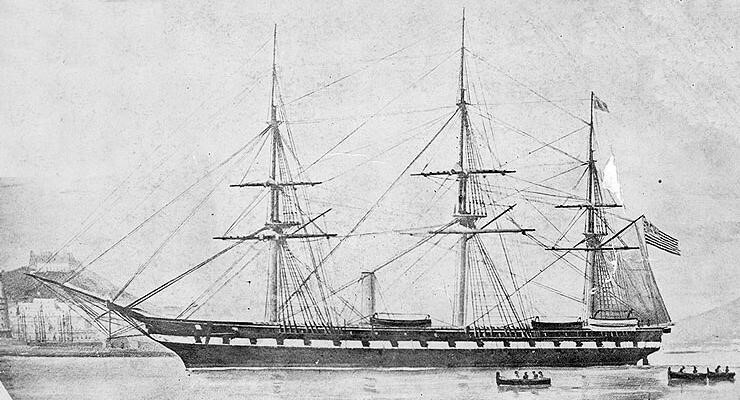 James McIntosh, the Commander-in-Chief of the U.S. Home Squadron, felt the inspection of his ships by a foreign power was an invasion of national sovereignty. Fraser River gold had undoubtedly delayed Britain’s departure. As it was, the determined stance of the Royal Navy off the coasts of both B.C. and Nicaragua thwarted American ambitions. With Cass’ Nicaraguan directive being applied to the colonies of Vancouver Island and British Columbia, little wonder that Britain reinforced its presence in Central America. 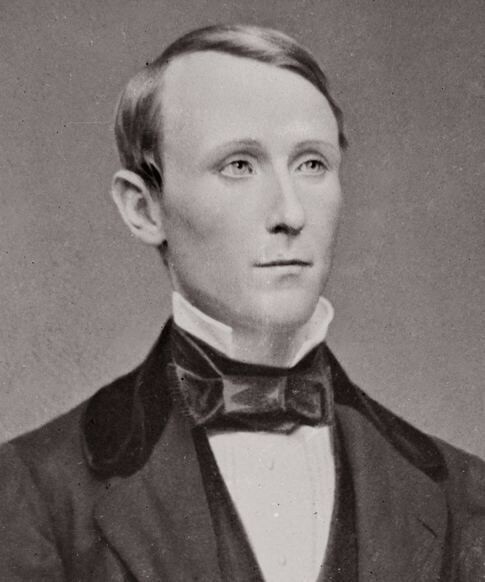 Luckily for Governor James Douglas, Nugent determined that the richness and extent of British Columbia gold was limited, and did not warrant the continued influx of American miners. Had it been otherwise, American policy may have favoured annexation. The Americans, it is true, were in sufficient force any time within the first six months to make successful any movement on their part towards the seizure of the colonies. . . It is true that, in all probability, both will eventually cease to be under European control. Their ultimate accession to the American possessions on the Pacific coast is scarcely problematical – but in the meantime their intrinsic value either of locality, soil, climate, or productions, does not warrant any effort on the part of the American government or the American people towards their immediate acquisition. British Columbia escaped a possible American takeover, but 160 years later, the Monroe Doctrine still hasn’t entirely disappeared into history.